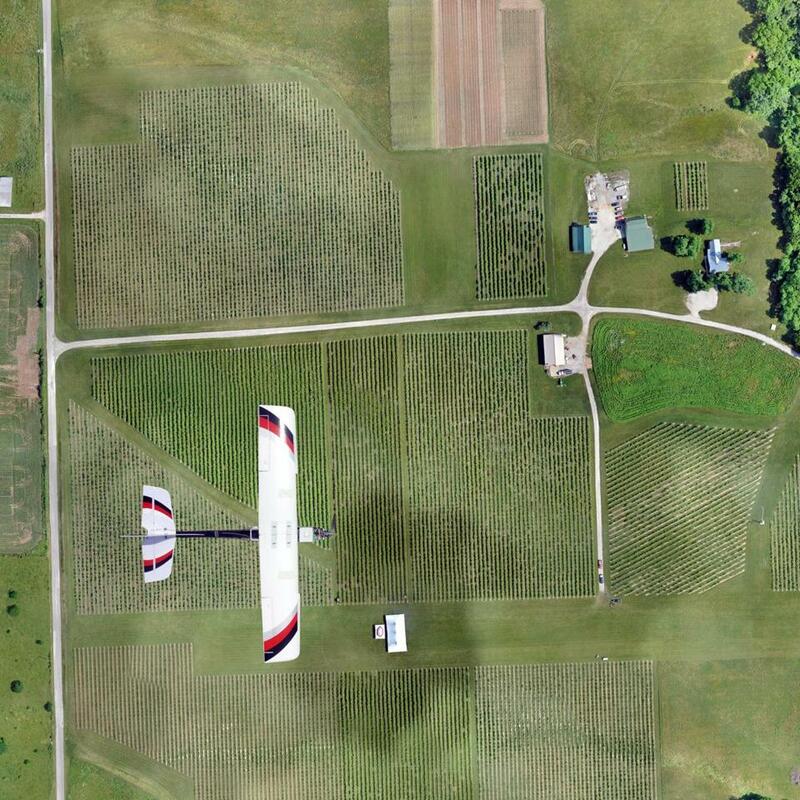 The Lancaster Hawkeye Mk III drone flew over a farm. Major innovations in farming are at hand, thanks to a rapidly evolving industry. For centuries, much of farming has been legwork: walking down rows, through patches, going plant-by-plant to check for weeds, bugs, parched soil, any sign of distress. Modern machinery, soil-testing, computers, and ground-based sensors have made crop monitoring and tending more efficient, but still lots goes unnoticed. Even with a trained eye, there also are inevitably data that can’t be detected at scale, such as nitrogen deficiency or diminished photosynthesis, the chlorophyll-powered process that is crucial for a healthy plant. And if one ailing plant is found, what is the impact on the sometimes hundreds of thousands of plants that surround it? Farmers were long left to guess. 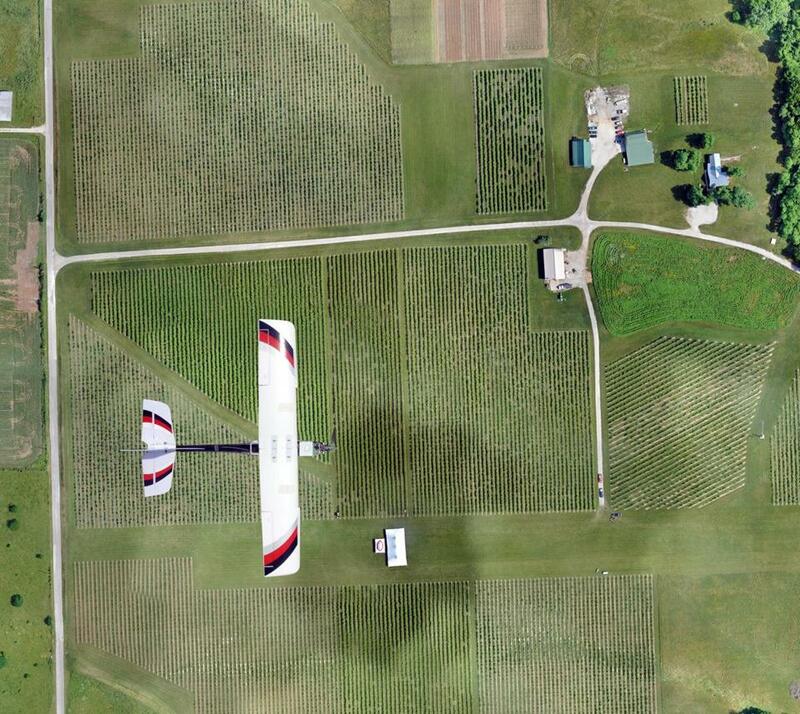 Not for much longer: Agriculture drones may soon be flying across America’s farmland. In fact, some already are. Federal rules around unnamed aerial vehicles were loosened late last year, and special permits were issued to a handful of agriculture operators. As that number grows, the impact on the US farm sector could be huge: billions of dollars in economic returns and tens of thousands of jobs within only a few years. The American Farm Bureau Federation estimates farmers’ return-on-investment alone could be $12 per acre for corn and $2 to $3 per acre for soybeans and wheat. It’s the latest — and most arresting — transformation in the burgeoning field of precision agriculture, which incorporates geospatial data and sensors to microtarget fields for better growth. Or, in other words, a Big Data revolution on the farm. Demographers suggest such advancement couldn’t come soon enough: The United Nations projects that, assuming a global population of 9.1 billion people in 2050, food production will need to rise by about 70 percent. Improving crop yields will be increasingly key to feeding the world, and drones can help. Despite the pervasive idea that drones are primarily useful for surveillance or warfare, agriculture drones are expected to make up 80 percent of the future commercial market, according to the Association for Unmanned Vehicle Systems International. Yes, they will be deployed as worker bees, spraying and treating crops, but the potential is much bigger: Super-high resolution spectral imaging will garner data-driven insight, allowing for more targeted fertilizing and better use of water and labor. The need for common fertilizers, such as nitrogen, as well as herbicides, insecticides, and fungicides that pollute local waterways could be substantially reduced. Even for organic farmers, monitoring for disease and drought could be made far easier. “The beauty of the whole thing is that it saves the farmer money and helps the environment, too,” says Kevin Price, a longtime plant ecologist at Kansas State University who is now an executive with AgPixel, one of a group of relatively new companies selling drones and data analytics packages that render imagery useful to farmers. Price grew up on an alfalfa farm and cattle ranch out West. He has been curious about how satellite data could improve farming, but until recently, he says, that kind of information would just draw a yawn from agronomists and growers alike. Yet with a drone, the resolution of imagery can drill down to every inch of soil. Individual plants can be counted, previously nearly impossible on bigger farms. High-value produce such as tomatoes could see some of the biggest gains, Price predicts. His company has worked on wheat and corn fields so far and has watermelons teed up for next year. The primary drone-based observational technique is what’s called NDVI, or Normalized Difference Vegetation Index, a measure assessing crop productivity that is calculated based on visible and infrared radiation. Viewed with an aerial camera, crop rows that normally look like an undifferentiated mass can suddenly pop into relief in bright yellows, oranges, reds, and greens; software then stitches together hundreds of images to form a complete picture. It helps that autonomous or semiautonomous flight is relatively cheap now. Surprisingly, better smartphone technology is a key reason. By perfecting certain computer processing for mobile devices — gyroscopes, altimeters, compasses, for example — domestic drone use at scale is now possible. Universities — from Carnegie Mellon and the Massachusetts Institute of Technology to Purdue and Oregon State — are helping to drive industry innovation. Researchers are developing aerial and ground-based robotic technologies, allowing everything from better analysis of potato fields and collection of water samples to the pruning of apple and peach orchards. PrecisionHawk, a North Carolina-based firm, is backed by Intel Capital and Bob Young, the software pioneer. The pitch by PrecisionHawk’s vice president of strategy Thomas Haun is simple — drones increase crop yields and decrease expensive inputs. Throw your 3-pound PrecisionHawk drone into the air and watch it vacuum up data, pump out actionable analytics, and work toward the “goal of a higher quality product,” Haun says. It’s possible that, in the future, your food may even taste a little better, or at least have a more consistent flavor, because of a drone. Drone firm VineRangers, which focuses on grapes, even touts the possibility of more delicious wines. The skies, however,won’t be truly open for business without better federal rules. Kristina Polziehn and Darrien Genereux, a pair of Canadian drone pilots, have been flying the vehicles three or four times a week over vast canola fields in the western province of Alberta. Canada has allowed drone use in agriculture for years, and Polziehn and Genereux’s consulting business has taken off. In fact, despite its sophistication in military drone hardware and software, the United States’ commercial drone market lags behind a substantial number of countries across South America, Asia, and Europe. Japan alone has an estimated 10,000 unmanned aerial vehicles, including many helicopters, in operation for agriculture. Insiders suggest final rules — likely to require drone pilots to pass a course and get an operator’s certificate — may not be put in place until early 2017. One hurdle? They’ll likely require unmanned vehicles be visible to pilots on the ground at all times, about half a mile in any direction, even in rural areas. To monitor the country’s vast farms, drones ideally would be able to fly for miles autonomously, says Lisa Ellman, a former Obama administration official who until recently helped formulate policy on drones. Ellman, now in private practice, warns that rules will have to be looser for the benefits to reach any meaningful scale. Some in the food production industry have made it more complicated, too, by backing so-called ag-gag laws that limit drone surveillance over private property to prevent activists who want drones to monitor factory farms and animal treatment. John Wihbey works at the Harvard Kennedy School’s Shorenstein Center on Media, Politics and Public Policy.